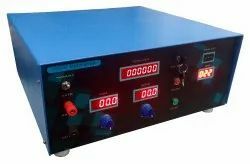 Our product range includes a wide range of cccv 15v-15 a with heating panel, plating rectifiers, 15v-15amps dimmer type rectifier, cccv rectifier 12v- 25a, cccv 12v-50 a plating rectifier and cccv 15v-15 a rectifier. 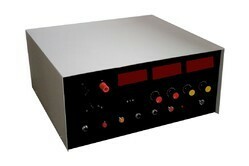 We are among the leading manufacturers and exporters of a wide array of premium quality Plating Rectifiers. By using cutting-edge machinery and latest technology, our professionals manufacture these rectifiers in compliance with the international standards of quality. the best possible quality of the offered rectifiers is maintained at all times through various quality assurance checks conducted. 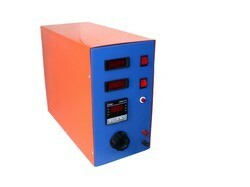 electroplating rectifier, dimmer type. digital display for volt, amps, timer. MS powder coated outer body.